Ralph: I’m happy to welcome this guest post from Matthew Denos from Weighlosstriumph.com. This is an exceptional article! It goes right along with some of the philosophies and methods I talk about in some of articles on this site. Check it out! 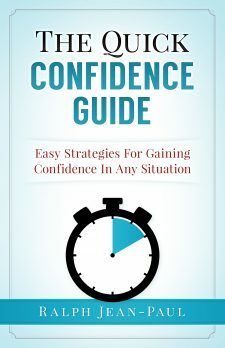 The way we look plays an important role in our confidence and our potential to success. Whether it is visiting your workplace everyday, talking to a stranger or making a public speech, feeling good about your body releases energy to conquer your day. Losing weight tops the “To Do” list of more people than ever before. And people are, at an alarming rate, going well beyond the category of overweight into obesity. The interesting thing is, I see more ways to lose weight now than ever before—so why isn’t it working for more of us? I have concluded after doing some research (which I will generously share with you in this article) that maybe part of the problem is too many choices to try when losing weight. Going back to some of the tried and true ideas offers better support for the journey and more lasting results along the way, and I think these five scientific approaches top the list. What do you see when you look in the mirror? Do you dread even looking? You need to love who and what you are, right now, before your weight loss efforts will have the best chance of succeeding. People who are less concerned about what they weigh, the shape of their body and their size, are actually able to lose more weight than those who obsess over their appearance. And they are probably a lot happier along the way. A study , led by Dr. Teixeira, of the Technical University of Lisbon, split a group of obese female participants into two groups. One group had classes every week about building a positive body image, why they might lapse into emotional eating, and other topics that supported them in learning to accept themselves and strive to be healthier in general. At the end of the study, that group had lost an average of 7% of their body weight. The group who did not get those classes only lost 2% of body weight on average. Have a positive image of who you are now, and Dr. Teixeira says you will be far less likely to have really rigid eating patterns (and possibly unrealistic goals) that often lead to comfort eating. And then you feel angry and guilty about the comfort eating, and either start the cycle again (rigid, fail, eat more) or you give up. So smile when you look in that mirror, accept your body and make your goal to be healthier, not to see a certain size on the label of your clothes. This will allow you to regulate what you eat much easier. Friends are a wonderful part of life; they lend us support and want the best for us. But the fact is, if you are overweight and your best buddy is a skinny Minnie, eating together can go from fun to fatal for your weight loss efforts. I’m not suggesting you ditch your friends just because they are thin! But those skinny friends who can eat a table load of food and then ask, “what’s for dessert?” are ones you might want to avoid having meals with—go for a walk in the mall with them instead, and get motivated about the new outfit you can buy when you hit your next weight loss goal! In an eye-opening look at how the mind works, a study  by researchers from the University of British Columbia, Arizona State University, and Duke University, using college students, showed that people adjust their own portions according to whom they are with while eating. When the person they were with was overweight too, and selected a large serving size, the study participant would adjust their own choice to be a smaller size. But when the person choosing first was a naturally thin girl (not more than 110 pounds), the study participants would mimic her choice. If she helped herself to a huge amount, the study participants felt free to do the same. Without even knowing, we put a lot of stock in our thin friends, assuming that what they do must work, and we also judge the heavier people we see eating a lot by realizing we should have smaller portions. Have you asked yourself why, when there are so many places to eat advertising “healthy” choices, as a society we are getting fatter, instead of healthier and losing weight? Brian Wansink of Cornell University organized a number of studies with other researchers to look into this question, and some of what they found had to do with rationalizing . People who selected a “healthy” entrée or sandwich then went on to feel justified in picking high calorie drinks, side dishes and desserts. Any health benefit that might have been involved in the original selection of the entrée was grossly sabotaged by the rest of the meal. And there is more. Advertising is all about getting you in the door. So a restaurant that markets itself as being known for healthy choices (we’ve all seen the ones where someone made a diet out of eating there, losing weight, and promoting themselves as better than a lot of other choices, particularly in fast food) might indeed have some options that are balanced in fat, calories, protein and carbs—but you can bet it is very likely they offer a lot more that aren’t. So people just assume anything they select will be healthy because they made the smart choice to eat at the healthy place. Wrong. The study continued, showing people estimating that a sandwich from a healthy place had 35% less calories than it actually did. But in reality, that same sandwich had more calories than the sandwich from a “non-healthy” place that study participants shunned as being “unhealthy.” Don’t be a victim of marketing; make sure you are really aware of the food choices you make no matter where you are making them. Nobody will do it for you, no matter what they advertise. When chosen wisely, losing weight with a buddy or a team can really boost results for everyone. You get that group mentality going, you are all working for the same goal, you support each other, inspire each other – and maybe a little healthy competition to see who can lose the most weight. If you are going to be on a team, step up and be the team leader. Studies show that the leaders of weight loss teams lose more weight, possibly because of the leadership role making them more invested in the success of the whole group. And whether you select a group approach or a single buddy, choose motivated and positive people. Because group mentality works both ways—with the right highly motivated people, you do better than you might alone. But with people who aren’t really trying, give excuses, want to “cheat” all the time, you are likely to lose your own motivation and goals and do worse. This idea was supported in the findings of a study led by Dr. Tricia Leahey, Ph.D., from The Miriam Hospital and Alpert Medical School. Dr. Leahey called it a ripple effect; that a group will end up with very similar weight loss results for all members, positive or negative . We all want the easy road to weight loss, and there is a multi-billion dollar supplement industry snatching up the dollars of the desperate and overweight. But do they really work? Melinda Manore of OSU is a professor of nutrition and exercise sciences who studied the weight loss supplement industry, and found that no single supplement is the magic pill . In fact, since they are regulated differently from food and drugs in the United States and in many countries, their claims don’t need the same verification. Many don’t do any meaningful studies at all, and some even have detrimental health effects. 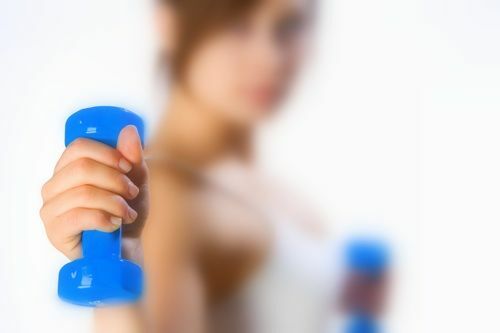 Her conclusions are that supplements should be left on the shelf when it comes to losing weight, and that real and lasting weight loss comes from eating a calorie conscious diet low in fat, and high in fiber, fruits and vegetables, while including regular exercise. She offers some other tips including always having a plan for meals so you don’t eat spontaneously (and risk bad choices), when you are eating at a restaurant, choose a large bowl of low calorie soup or a big salad with low fat dressing on the side to eat first so you are less likely to overeat on the entrée. Other ideas are to “eat” your nutrition rather than “drinking” calories so you get more of the fiber and full feeling and less risk of empty calories, put vegetables into every meal, keep processed foods to a minimum in your diet, and find ways to keep yourself moving all day to burn calories and create exercise moments. Supportive to Dr Manore’s findings is Dr Nicklas’ study . After analyzing 4,000 obese Americans, she found that eating less fat, exercising more, and even joining a proven commercial weight loss program is more effective than using diet supplements and over the counter diet pills. Weight loss is a very personal journey, but sometimes the best place to start is one that has science behind it and lot of proven history. If you have struggled with fad diets and magic pills, it might be time to get back to basics to achieve your goals and get healthier. Matthew Denos is a biologist who worked as a postdoctoral fellow at Washington University in Saint Louis, MO. In Weight Loss Triumph, he reviews clinically studied weight management programs, like Weight Watchers. He also reports on the latest news in the field of nutrition, fitness, food, and diet. Matthew is 36 years old, love sports, and like Ralph, he invests everyday in his personal development so that he will realize his peak potential in life. Like this Article? Get updates on new stuff! The weight loss industry is full of myths. People are often advised to do all sorts of crazy things, most of which have no evidence behind them. However, over the years, scientists have found a number of strategies that seem to be effective. Here are 26 weight loss tips that are actually evidence-based. 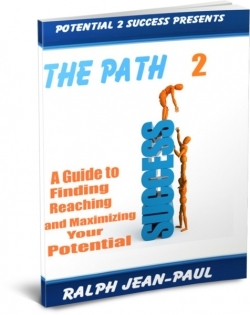 Subscribe for free today and get a FREE copy of my ebook The Path 2 Success. Begin your path today!